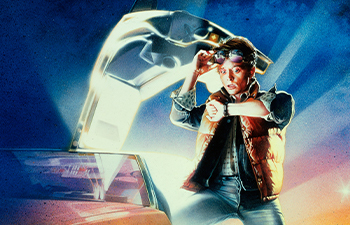 Power up your DeLorean…recharge your flux capacitor…and get ready to relive Back to the Future. Fans old and new will experience the thrill of this unforgettable movie classic on the big screen with the San Diego Symphony conducted by David Newman performing Alan Silvestri’s musical score LIVE at the Jacobs Music Center's Copley Symphony Hall! Back to the Future is a trademark and copyright of Universal Studios and U-Drive Joint Venture. Licensed by Universal Studios. All Rights Reserved. This concert takes place at the Jacobs Music Center's Copley Symphony Hall.